The international organization known as the Society of Saint Vincent de Paul (SSVP) was inspired by the work of a humble priest in early 17th century France. When young students at university in Paris, France two hundred years later committed to assisting the poor, they took their example from that humble priest Vincent de Paul. 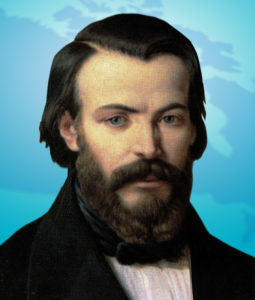 Fewer than twenty years after student Frédéric Ozanam and his confrères founded the Society in France its work had spread to Canada, initially in Quebec City. We are humbled to note that the Society has served our neighbours in need in Brantford and Brant County for almost 150 years. For the next hundred years, members of the conference associated with St. Basil parish served the poor from bases in the church and the homes of individuals. Around 1990 the work was formalized in conferences at three other local Catholic parishes: St. Pius X, St. Mary and Blessed Sacrament. Sacred Heart, Paris, joined the group in 2014. This critical mass of volunteers formed a governing body (Particular Council of Brant), incorporated, and opened its first thrift store in 1990 – in rented premises in downtown Brantford. In 1994 the Store relocated to purchased premises at 197 Colborne St., Brantford. Since that time the large staff, comprised entirely of volunteers, has served the poor of the area. The location serves as a centre for collection and sorting of donations as well as a distribution centre. Food, clothing, household items and furniture are provided free to those who have been assessed in meetings with Society volunteers (Vincentians). Revenue from the sale (at modest prices) of excess donations is used to support conference work, to purchase non-perishable food to give to our neighbours in need and to pay expenses to keep the business open.